More often than not a pre-owned model will offer more value than a new one, since it’s already taken the depreciation hit. While some cars don’t quite suffer from the same drop as others, a new study from iSeeCars.com reveals the vehicles with the most dramatic savings versus their new counterparts in 2019. Now one would expect a top 10 list of depreciation savings would be filled with high-end luxury cars, but the mix is quite surprising with full-size SUVs, compact sedans and even a lot of Japanese and Korean models. Though when you look at the details, the numbers make sense. 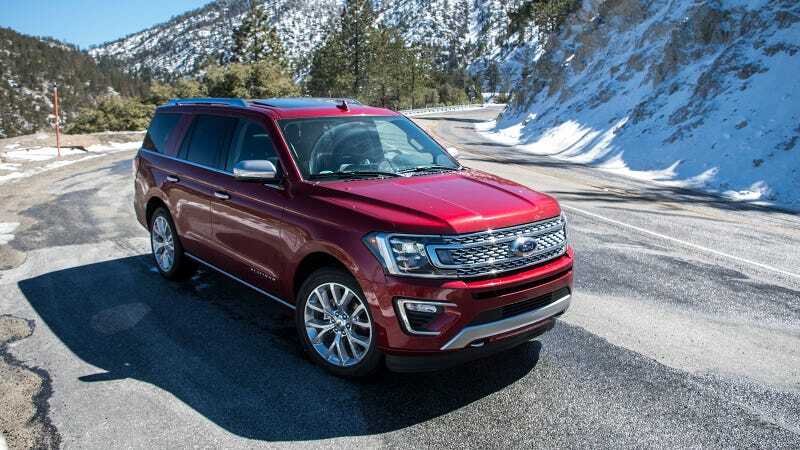 With the exception of the Ford Expedition, a lot of the Asian cars on the list are what many buyers would consider “Tier 2” brands: Hyundai, Kia, Nissan, and even Infiniti. It’s not that these brands make “bad cars” per se, but they haven’t yet developed the reputation as the default pick for most shoppers like Honda, Toyota, and Lexus. The Chevrolet Impala, for example, has struggled for a while and is due to be discontinued. Therefore, the lack of popularity with some of those cars results in a severe drop in depreciation. That is bad news if you bought a new one, but great news if you are looking for a value in the pre-owned market. A used Ram pickup will be, on average, 29.2 percent cheaper with an average savings of $12,674. A used Infiniti Q50 sedan will be, on average, 33.1 percent cheaper with an average savings of almost $15,000. A used Nissan Leaf will be, on average, 40 percent cheaper with an average savings of $13,524. A Porsche 718 Boxster will be, on average, 23.2 percent cheaper with an average savings of almost $20,000. iSeeCars.com analyzed over 7 million new and used cars sold from August 2018 to January 2019, comparing the prices of new cars to lightly used cars. It identified the top ten used cars that have the greatest price differences from the new versions of the same vehicle. To see the full report, analysis and ranking of all the vehicle categories check out iSeeCars.com. Should I Really Avoid a Car in the First Model Year?